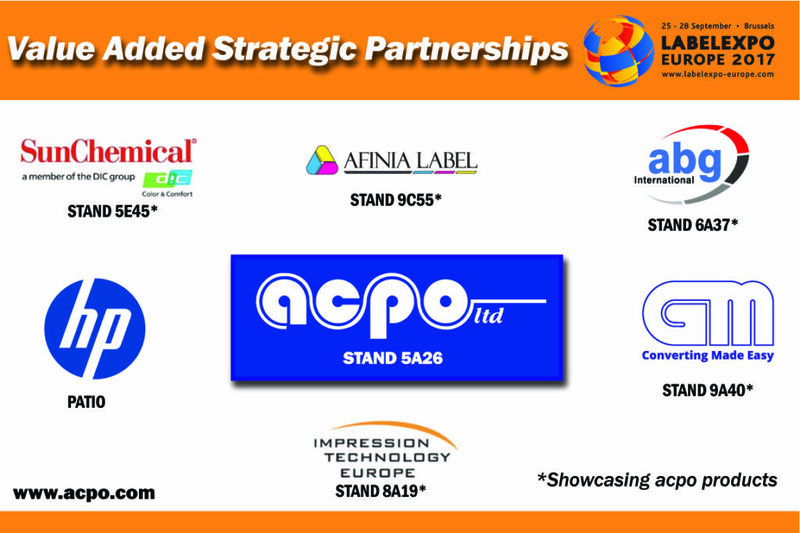 Our Strategic Partners will be on display at #LabelExpo Europe 2017 with several featuring acpo products. Stop by any of our partners listed below to learn how these value added collaborations provide benefits and innovation to our customers as well as theirs. This entry was posted in News on September 11, 2017 by Tammy Calhoun.